A fire broke out on the roof of the Notre Dame Cathedral in Paris Sunday. Shortly thereafter, the flames caused the spire to collapse and spread to one of its landmark tower. The cathedral spokesman shared the heartbreaking news: “Everything is burning, nothing will remain from the frame.” The 850-year-old cathedral is a landmark in history and on celluloid. 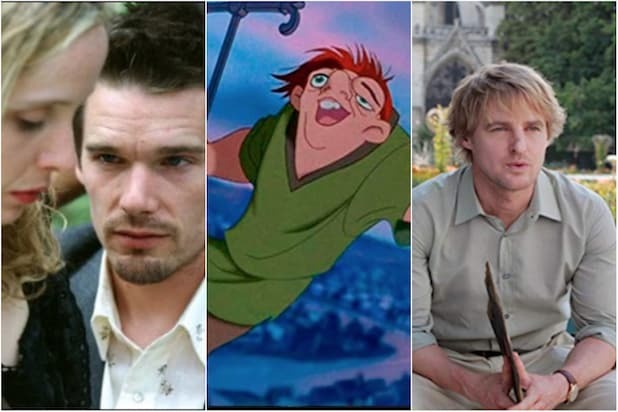 It's the primary backdrop for the classic 1939 film "The Hunchback of Notre-Dame," as well as Disney's 1996 animated feature remake. It has also appeared in the Oscar-nominated "Midnight in Paris" and 2004's "Van Helsing." Here is a list of films either set or shot at the famed Cathedral. 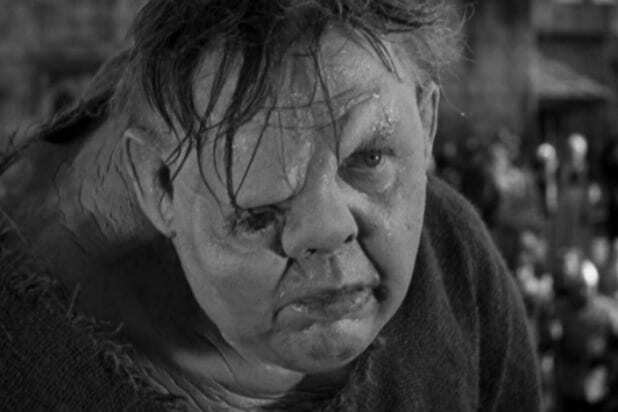 "The Hunchback of Notre Dame" (1939) There have been many versions of this 19th century tale by Victor Hugo, but this 1939 classic with Charles Laughton starring as Quasimodo and Maureen O'Hara playing the object of his love, Esmeralda, differed from the novel -- the filmmakers were concerned that an evil priest would violent the moral guidelines in the Motion Picture Production Code. 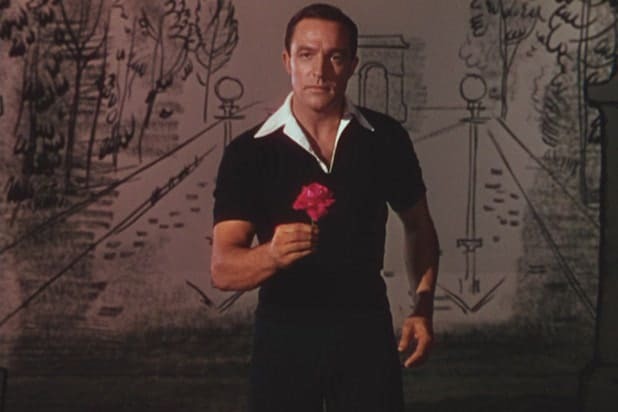 "An American in Paris" (1951) Though the musical was shot on a Hollywood soundstage, Gene Kelly and Leslie Caron meet up across the Seine from the cathedral -- and dance to the Gershwins' "Our Love Is Here to Stay." "Breathless" (1960) In Jean-Luc Godard's New Wave classic, Jean Seberg's journalism student stays in a hotel in the shadow of Notre Dame when she meets up with Jean-Paul Belmondo's petty criminal on the lam. "Charade" (1963) In Stanley Donen's hit romantic thriller, Audrey Hepburn and Cary Grant stroll in the shadow of the cathedral as they discuss who might have killed her late husband. "The Aristocats" (1970) The villainous butler Edgar Balthazar drives past the cathedral while taking the cats into the countryside in this Disney animated romantic musical about fun-loving felines. "Bitter Moon" (1992) Co-stars Peter Coyote (as Oscar) and Emmanuelle Singer (as Mimi) sit on the benches near the cathedral in this Roman Polanski romantic drama. "The Hunchback of Notre Dame" (1996) In 1996, "The Hunchback of Notre Dame" was given the Disney touch and made into an animated musical with voices performances by Tom Hulce, Demi Moore and Kevin Kline. It was nominated for both an Oscar and a Golden Globe for is Original Score. "Rugrats in Paris: The Movie" (2000) The redheaded toddler Chuckie brings the Rugrats kids together to crash his father's wedding at the Notre Dame cathedral in this animated feature based on the popular Nickelodeon series. "Amélie" (2001) Amélie Poulain (Audrey Tautau) visited the cathedral every year as a child to wish for a little brother. During one visit, a tourist jumps off the roof and kills Amélie’s mother instantly. "Van Helsing" (2004) Monster hunter Van Helsing (Hugh Jackman) has a battle sequence with Dr. Jekyll on top of the cathedral in this 2004 action-horror flick. "Before Sunset" (2004) Jesse (Ethan Hawke) and Celine (Julie Deply) are on the famous Seine River boat cruise when they gaze upon the cathedral. As they float by the landmark, Jesse tells Celine the story of a German soldier who was tasked to blow up the cathedral during World War II. "Ratatouille" (2007) In this computer-animated film produced by Pixar, a rat with dreams of becoming a chef roller skated passed the cathedral with his love interest, Colette. "The Three Musketeers" (2011) The young and soon-to-be musketeer D'Artagnan (Logan Lerman) tangles in a sword fight with the Englishman Rochefort (Mads Mikkelsen) on the roof of Notre Dame Cathedral. "Midnight in Paris" (2011) In Woody Allen's time-traveling comedy, Gil (a screenwriter played by Owen Wilson) asks his tour guide (played by Carla Bruni) to translate a passage from a diary of Pablo Picasso's lover in front of the cathedral.